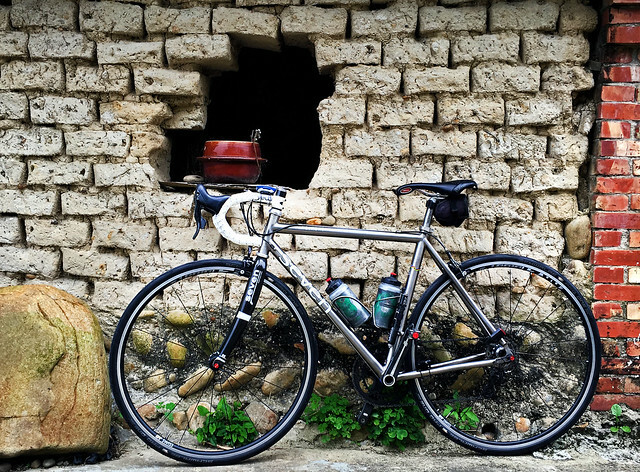 The bicycle industry is already suffering with multiple pressures from a shift in retail channels to currency exchanges and cultural change in areas traditionally more favorable to higher-end cycling equipment. For most of a decade we have heard one of the industry leaders beating the drum for Taiwan's economic (and political) integration with the People's Republic of China. TAICHUNG, Taiwan (Reuters) - Economic powerhouse China and export-reliant Taiwan, political rivals for six decades, agreed on Tuesday to negotiate a trade deal that would cut tariffs and bring the two sides closer. Of course ECFA was never intended to be entirely about economic, but rather a means to rein in Taiwan's independence, which is supported by a vast majority of the population, in creating an economic dependency with deep political implications. ECFA garnered vocal support from Giant Manufacturing and Ma Ying-jeou's re-election campaign even saw then Giant chairman, Anthony Lo, issue a last minute vote of confidence to Ma's Kuomintang Party in the closing days of the election with an urgent call for support of his China-centered policies. He continued to remain bullish on Ma's vision and brushed the issue with tones of urgency. In 2010 Giant put its money where it's mouth was. 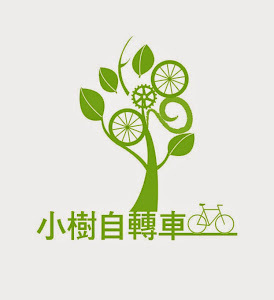 According to reports from Taiwan media, appreciating the huge potential of the mainland market after the signing of the ECFA, Taiwan Giant Global Group plans to strengthen the capability and competitiveness of the mainland headquarters this year by launching a new investment plan to invest an initial RMB 1.16 billion for the establishment of the Bicycle Industrial Park in Kunshan, Jiangsu Province. Reports disclosed that with the expansion of the market, Giant Global Group will increase its investment to raise its market share in the mainland bicycle market. Based on its original SUV brand GIANT, the Group will vigorously develop a new brand MOMENTUM to raise the market share of passenger vehicles. The medium-priced brand will be aggressively promoted through about 2,000 distribution channels. Giant Global Group plans to increase its investment to build a bicycle plant in Kunshan, which has gained great support from the mayor of Kunshan Guan Aiguo. The 40-hectare new plant will consist of plants for bicycles, frames, carbon fiber and electrical vehicles. Besides, the cycle track & bicycle theme park plan will also be pushed forward. The investment in the initial stage amounts to USD 36 million (NTD 1.16 billion). Giant's self proclaimed "Godmother of Women's Cycling", Bonnie Tu, doubled down on ECFA and the China market. According to a Bicycle Retailer article (7/2010), Tu could barely suppress her enthusiasm for the post ECFA China boom. Bonnie Tu, Giant Manufacturing’s chief financial officer, told the Financial Times the agreement could help the company better manage its production. Giant has factories in Taiwan and China. Giant builds its high-end bikes, particularly carbon fiber, in Taiwan. Lesser value models are made in China. “If there is no tax issue, we can really integrate our factories and shuffle production as we like,” Tu said. “China’s economy of scale for high-end bicycles could be really big,” she added. This despite the beginnings of a quiet exodus of Taiwanese firms from China. Anthony Lo (羅祥安), chief executive officer of local bicycle maker Giant Global Group (巨大集團), said the government needs to establish a vision. “What Taiwanese enterprises want to see is the government striving to help businesses build unique brands that can provide innovative products and services,” Lo said on the sidelines of the forum. Lo said Taiwan needs to integrate into regional markets as soon as possible so local firms can enjoy the trading privileges that other nation’s companies do, such as tariff exemptions. The China market has been a quagmire for some time and several indices have highlighted this situation. China's infatuation with bike sharing has forced companies like Giant and Merida to close some company-owned stores as retail sales have plummeted, particularly for higher end models. Independent shops have also been hurt by a lack of demand brought on by bike sharing. Still, Giant said it believes its co-sponsorship of pro-cycling's Team Sunweb, and its performance in the Tour de France and the Giro d'Italia, has elevated its global brand awareness and will drive future demand, especially for its carbon frames and accessories. "Looking forward to the second half of the year, Giant projects Europe and the U.S. will continue its growth momentum," the company said. However, it cautioned that unpredictable exchange rates as well as continued turmoil in the Chinese market would be of concern for the remainder of the year.